Remember the Benelli TReK 1130 that the Italian manufacturer unveiled earlier this year at the India Bike Week in Goa? Well, Benelli is at pains to underline that the TRK 502 is not a smaller iteration of that machine. And it does look different, quite akin to some large adventure tourers from BMW and Triumph, albeit a bit smaller. The traditional Benelli steel trellis frame may be conventional, but the engine underneath it is also all-new: a freshly developed twin-cylinder four-stroke liquid-cooled 500cc with electronic injection, overhead double camshaft timing system, and 4 valves per cylinder. That is good enough for 48 PS of peak power at 8,500rpm and 45 Nm of torque at 4,500rpm. The gearbox is a 6-speed affair controlled by a hydraulic clutch. Fuel capacity is a mammoth 20 litres. As befits an adventure tourer worth its name, the TRK 502 comes with a raft of touring-friendly features that will enable it to chew up the tarmac for days on end. 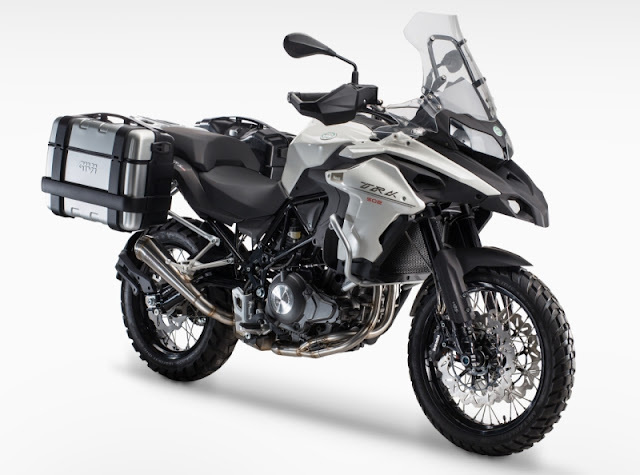 Suspension duties upfront are handled by an adjustable upside down front fork, and at the rear, a swingarm with monoshock, providing suspension travel of 150mm at both ends. Braking is via two front discs, 320 mm in diameter, and two-piston floating caliper upfront, and a twin piston calliper gripping a single 260mm disc at the rear. Tyres are Pirelli Angel 120/70-17 and 160/60-17 at the front and rear, respectively, mounted on 17” alloy wheels. Benelli is also offering an “off-road” version of the TRK 502 with wire wheels, 19” at the front and 17” at the back. 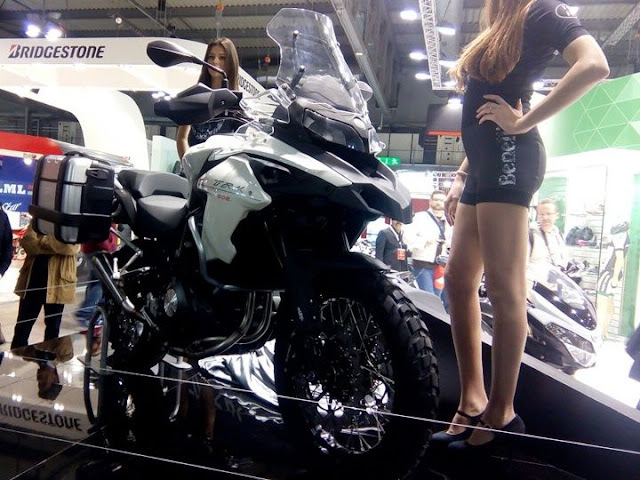 Expect the Benelli TRK 502 to be launched in India sometime later next year.